The fineness of cement has an important bearing on the rate of hydration and hence on the rate of gain of strength and also on the rate of evolution of heat. Finer cement offers a greater surface area for hydration and hence faster the development of strength. The fineness of grinding has increased over the years. But now it has got nearly stabilized. Different cements are ground to different fineness. 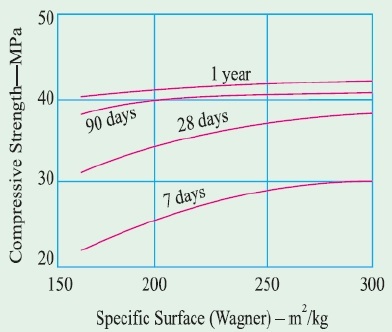 The particle size fraction below 3 microns has been found to have the predominant effect on the strength at one day while 3-25 micron fraction has a major influence on the 28 days strength. Increase in fineness of cement is also found to increase the drying shrinkage of concrete. (b) By determination of specific surface (total surface area of all the particles in one gram of cement) by air-permeability apparatus. Expressed as cm2/gm or m2/kg. Generally Blaine Air permeability apparatus is used. 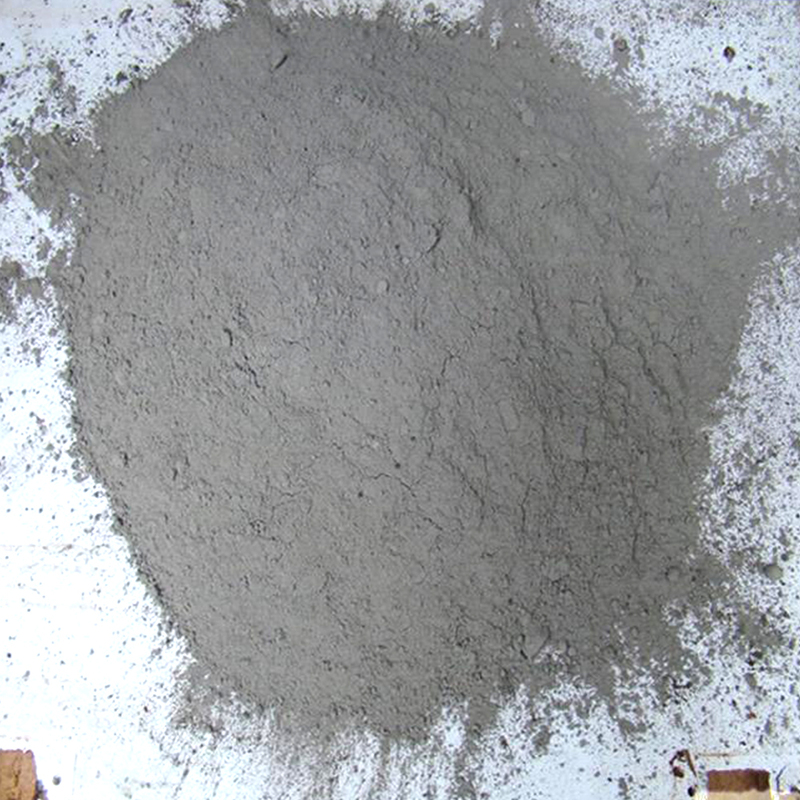 The samples of the cement shall be taken according to the requirements of IS 3535:1986 and the relevant standard specification for the type of cement being tested. The representative sample of the cement selected as above shall be thoroughly mixed before testing. 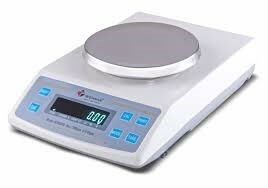 Balance be capable of weighing up to 10 g to the nearest 10 mg. It comprises a firm, durable, non-corrodible, cylindrical frame of 150 mm to 200 mm nominal diameter and 40 mm to 100 mm depth, fitted with 90 micron mesh sieve cloth of woven stainless steel, or other abrasion-resisting and non-corrodible metal wire. 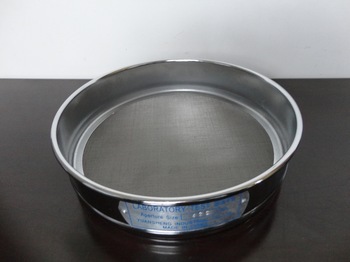 The sieve cloth shall comply with the requirements of IS 460 (Part 1):1985 and IS 460 (Part 3):1985 and shall be free of visible irregularities in mesh size when inspected optically by the methods of IS 460 (Part 3):1985. A tray fitting beneath the sieve frame and a lid fitting above it shall be provided to avoid loss of material during sieving. Agitate the sample of cement to be tested by shaking for 2 min in a stoppered jar to disperse agglomerates. Wait 2 min. 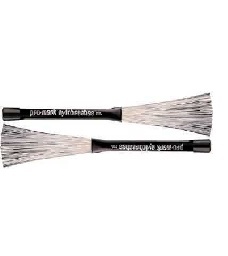 Stir the resulting powder gently using a clean dry rod in order to distribute the fines throughout the cement. Fit the tray under the sieve, weigh approximately 10 g of cement to the nearest 0.01 g and place it on the sieve, being careful to avoid loss. Disperse any agglomerates. Fit the lid over the sieve. Agitate the sieve by swirling, planetary and linear movement until no more fine material passes through it. Remove and weigh the residue. Express its mass as a percentage, R1, of the quantity first placed in the sieve to the nearest 0.1 percent. Gently brush all the fine material off the base of the sieve into the tray. Repeat the whole procedure using a fresh 10 g sample to obtain R2. Then calculate the residue of the cement R as the mean of R1, and R2, as a percentage, expressed to the nearest 0.1 percent. When the results differ by more than 1 percent absolute, carry out a third sieving and calculate the mean of the three values. Report the value of R, to the nearest 0.1 percent, as the residue on the 90 micron sieve for the cement tested. The standard deviation of the repeatability is about 0.2 percent and of the reproducibility is about 0.3 percent.